The National Safety Council announced roadway deaths were down in 2013 so far, but fails to explain why. Here is the answer. Despite almost universal use of hand-held electronic devices in cars, traffic deaths dropped by 5% in the first six months of 2013. 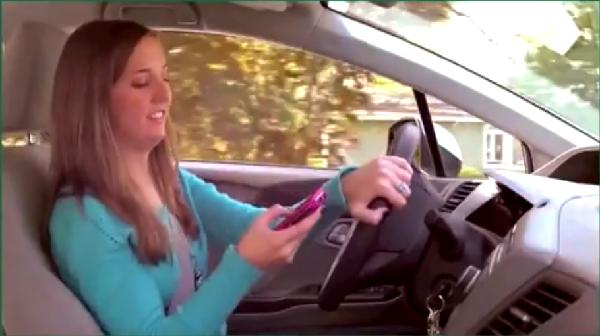 This is the message from The National Safety Council (NSC), which recently released a frightening missive warning us of the carnage being caused by texting and cell phones in general used in moving cars. The details behind the drop in roadway deaths reveal some interesting things. For example, Massachusetts, which has the lowest seatbelt usage rate in the US, saw a 25% drop in roadways deaths in early 2013 compared to 2012. If the numbers hold up (NSC is looking at preliminary reports) this will be the second consecutive double digit drop in the first half of the calendar year for Mass. Vermont had the largest percent decrease in deaths in 2013 so far, dropping from 40 to just 25. Just this past May the NSC released a report it claimed showed that fully one quarter of traffic fatalities were a result of distracted driving. That 25% number should be compared to the 1.2% of deaths that U.S. governmental agencies like the National Highway Transportation Safety Administration attributes to texting and other distractions based upon factual evidence reported by police and other data gathered at the scene of fatalities on the road. If both of NSC’s headlines are to be believed the inference could easily be drawn that distracted driving must also have decreased, or how could such a large drop in roadway deaths have happened? Actually, the NSC report itself tells us why the 5% drop seems to have been reported. It is due to a fluctuation in the number of miles driven. The deaths are actual numbers of fatalities, but if one looks at the NSC’s report it can be seen that the deaths per mile driven has not really changed in a couple of years. The NSC’s summary of its report says “The estimated annual mileage death rate is 1.2 deaths per 100 million vehicle miles traveled, unchanged from the preliminary 2012 rate.” In translation, the number of miles that Americans drive was down about 5% in the first half of 2013 compared to 2012. So the rate of people killed per mile driven is unchanged.